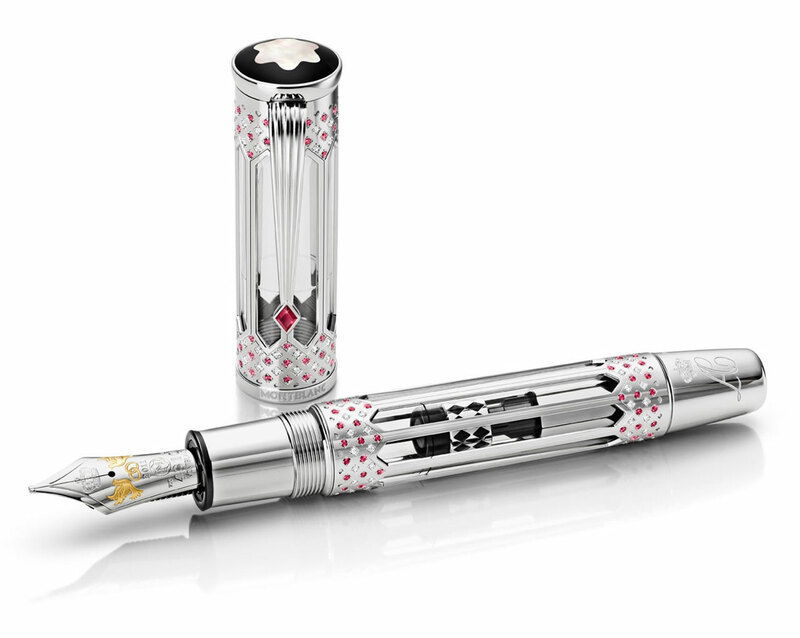 Montblanc has created a Wedding Pen to pay homage to Prince Albert II and Princess Charlene of Monaco as a unique wedding gift. This pen is a remarkable example of Montblanc’s fine craftsmanship and design expertise. Wedding Pen has been designed by Atelier Hamburg, a much-respected artisan from the Montblanc group. 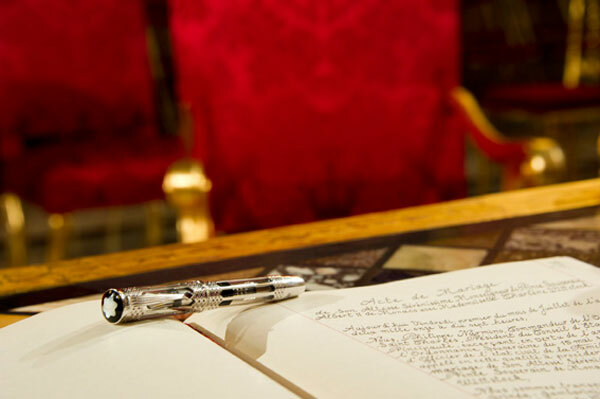 Monaco Royal Wedding Pen was inspired by the architectural elements of Palais Princier and is adorned with 128 diamonds as well as a stunning 161 rubies. The pen is attractively rendered into the skeleton of the solid white gold and the hand crafted nib features various exquisite engravings. There is a dove, rings and a crown, elements that symbolize a wedding that is based on love even though it may be an official state union. The white and red of the Monaco flag are represented on the pen. 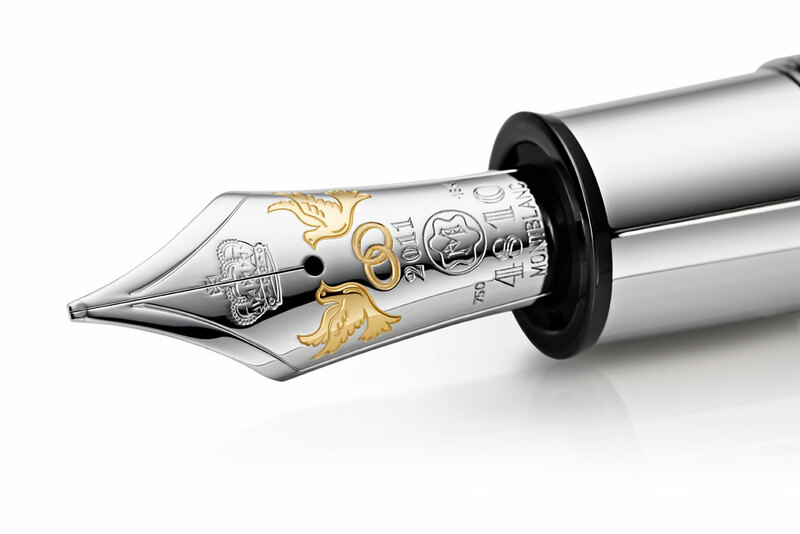 The Montblanc emblem can be seen on the cap set inside an exceptional mother-of-pearl that reflects the rarity of this piece and representing the future prosperity of the Princely Couple.